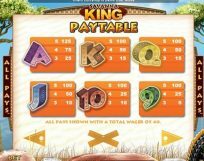 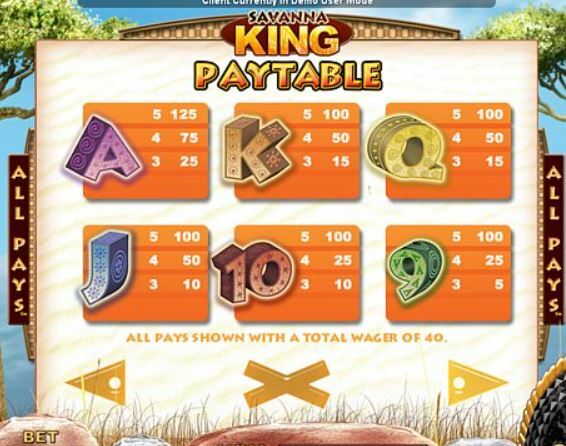 Savanna King slot has 1024-ways to win over 5 reels and 4 rows and is by Genesis Gaming. 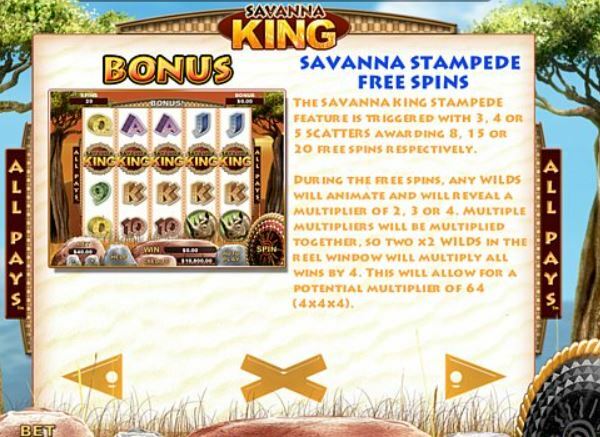 The theme is African with the corresponding animals featuring on the reels, of which the mighty Lion is the wild. 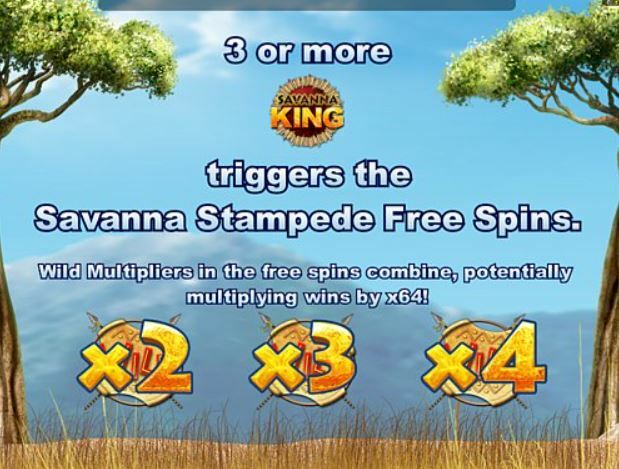 3 or more scatters triggers 8 to 20 free games in which the Wilds appearing on reels 2, 3 and 4 will get a multiplier assigned of either 2, 3 or 4x thus there is the possibility of x64 for a win! It is essentially the same game as Dinosaur Adventure. 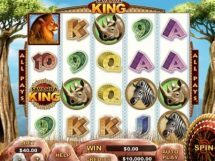 RTP Is 95.11%.